The International Accelerator Facility FAIR in Darmstadt is based on a rate of 7x1010 cooled antiprotons per hour. To provide the primary proton intensities for the production of antiprotons a dedicated proton linac is planned. This accelerator comprises a proton source, a RFQ, and a CH drift tube linac at room temperature for acceleration up to 70MeV. The delivered proton beam current is defined to be 70mA. The ion source department is responsible for the proton ion source and the low energy beam transport section of the linac. Even tough the ion source is built at the partner institute CEA in France. GSI staff is coordinating technical specifications and the interface for the later setup of the accelerator at FAIR. The ion source will be RF-driven and delivers 100mA of protons at an extraction voltage of 95kV. 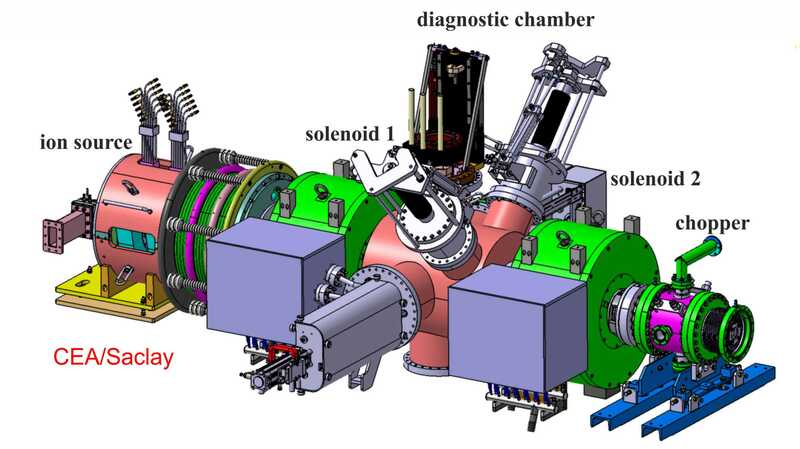 There is a short beam transport line comprising drifts, focusing solenoids and beam diagnostics before the beam passes an electrostatic chopper and being injected into the radio-frequency quadrupole accelerator.